Three more things to love from our boys’ beloved, Billy Jealousy. Temps are finally chilling down, so slap some moisturizer on that dried-out mug of yours! Combination Code is that ideal “one-size-fits-most” lotion. Not too light, not too heavy…just right. Aaahhhh. To read more, click here. Now that your face is looking great, let’s address those gnarly man hands. It’s really quite easy: just rub and go! Sound familiar? We thought so. To read more about Golden Gloves, click here. And last but not last, your top (we’ll discuss your bottom later). A truly unique hair pomade that works like a charm and smells divine. To read more about Lunatic Fringe, click here. Don’t you love Billy Jealousy’s oh-so-clever product names? Save for the rainforests…for real. Surround yourself in luxurious body and home products, while saving the rainforests…for real! Malie Kauai brings you the green organic essence of Kauai’s ancient Hawaiian rainforest, Koke’e, a fragrance that’s lush and teeming with vibrant life. Koke’e is recognized as a national treasure and is home to more species of endangered species than anywhere in the US. Malie Kauai is passionately committed to protecting these species and donates 1% of sales to the Koke’e Resource Conservation Society. 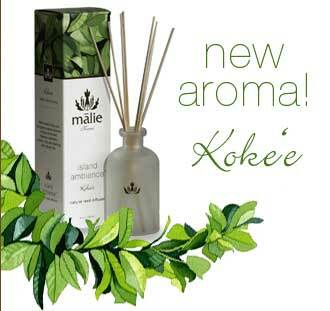 Malie Kauai has plucked this irresistably crisp scent from nature and infused it into their lovely body and home line: Koke’e Bath Lather, Koke’e Body Cream, Koke’e Liquid Hand Soap, Koke’e Soy Candle, and Koke’e Natural Reed Diffuser. Here’s to pampering your body and home, while doing something wonderful for the environment. You are currently browsing the miomia's musings : miomia apothecary blog | shopmiomia.com blog archives for October, 2007.